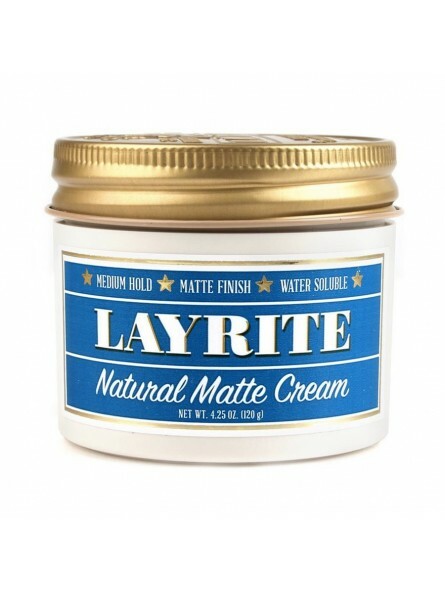 Layrite Matte Natural Cream Hair Pomade 120gr. 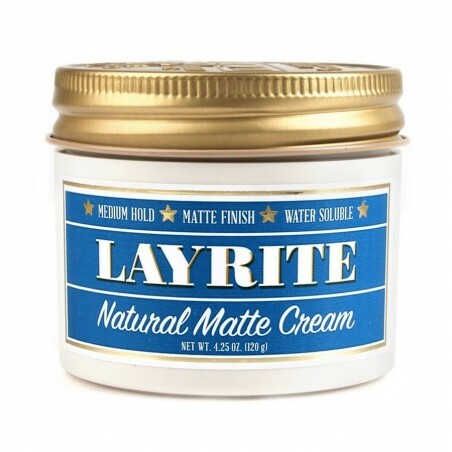 Light cream for a natural hold. It will hold the style adding texture and a flexible hold. Open to a variety of styles, from the simplest and relaxed to the most defined. Flexible Hold, medium. Keeps the style in place all-day long, leaving the hair soft and natural looking, not rough to touch. Light, will not weigh down long hair. Clean matte finish leaving the hair looking natural and feeling healthy. Easily spread for a quick application.